From Star Wars expansions to new food and culture festivals, it seems like every time we turn around, Disney Parks are throwing another (exciting) curveball at us. This time, that curveball comes in the shape of a possible new volcano-themed roller coaster at Disney World! According to theme-park guide Screamscape, there’s a long-standing rumor about this coaster — called “Fire Mountain” in its early stages — that would sit in Magic Kingdom’s Adventureland. 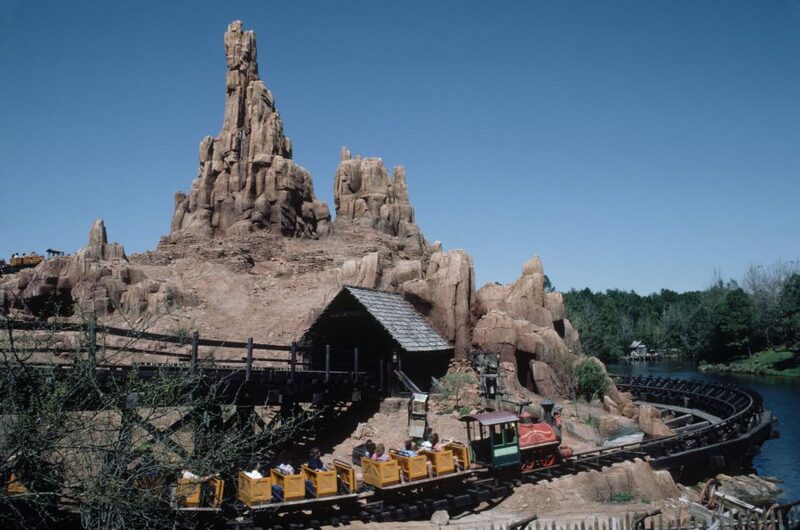 The volcano coaster would be the fourth of the “mountain” attractions in the park (the others being Space Mountain, Splash Mountain, and Big Thunder Mountain Railroad). The report from Screamscape says the project came to light in the early 2000s, describing it as “an indoor, volcano themed flying coaster” that would be situated next to Pirates of the Caribbean. In a nutshell, the project died because the coaster system they were looking into took a popularity nosedive, and Disney pushed all of Fire Mountain to the (forgive us) back burner. HOWEVER…Screamscape reports that rumors of the coaster making its triumphant debut are being stirred again because of the popularity of Moana, and to that we say, THE MORE MOANA-INSPIRED THINGS, THE BETTER. The Fire Mountain concept has already been tapped in one way — just not in the American parks. "A re-birth of the concept was also revived in spirit as the idea for the Mt. Prometheus volcano at the center of Tokyo DisneySea, which is home to two Jules Verne themed attractions: Journey to Center of the Earth and 20,000 Leagues Under the Sea," Screamscape points out. Another thing that could be pushing Disney to re-think the incorporation of a volcano-themed attraction in their Orlando parks? Competition, of course. Volcano Bay, which is Universal Orlando’s brand-new water park, is set to open in May. And Disney isn’t one to let another park steal its thunder…or lava..for long. So what happens if the Moana-inspired coaster becomes a reality? The ride itself would reportedly sit near the back corner of the Jungle Cruise, visible from Disney’s Polynesian Village Resort. Which is perfect! !